This year's, we visited to couple of museums and registered a membership for year. 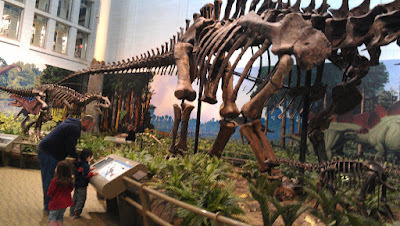 We went to Carnegie museum of natural history once and went to children's museum couple of time. We also went to the zoo and went camping at Rose point. This past weeks, we've been planning to go back to natural museum and go to idlewild. But this plan haven't done yet because i am too lazy to get up in bed and i don't want to go out. Joe was just waiting for me to get up and start getting ready. It's summer and we're suppose to have fun because before we know it winter will be here again. I guess I am not done with my hibernation from last winter LOL. How is your summer by the way?